I can not believe we have gone through the entire alphabet! Letter Z is what we have learned all about this week and it was so much fun! If you have stayed tuned in on all of our other projects you have seen all of the wonderful and easy activities and such we have used to learn the letters of the alphabet. Making a great snack to go along with our letter learning is super fun too! 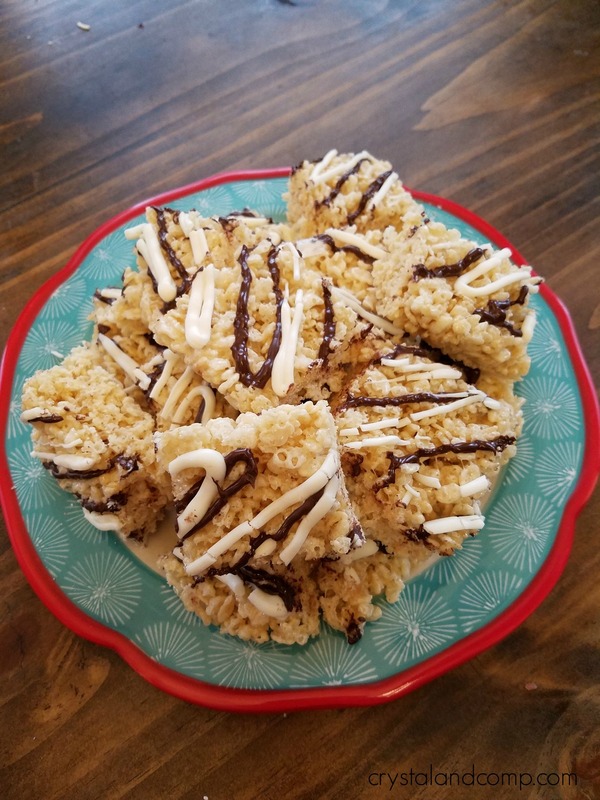 This week we made these yummy zebra striped rice krispies for our letter /z/ learning! Start by greasing a 9×13 dish. I just rubbed a little butter in the bottom. Then begin melting the 4 tablespoons of butter over medium heat on the stove. 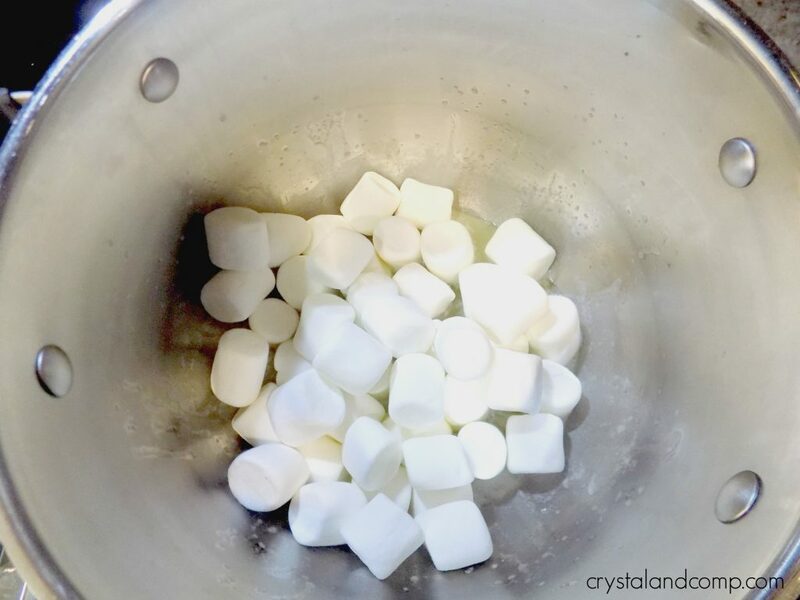 Then add in your marshmallows. Stir then until they are completely melted. Then add in your rice cereal. Turn the heat off to the burner. Once it is all completely mixed pour the mixture in your greased dish. Use a spatula to press the mixture flat into all of the corners. Let them set for about 5 minutes. 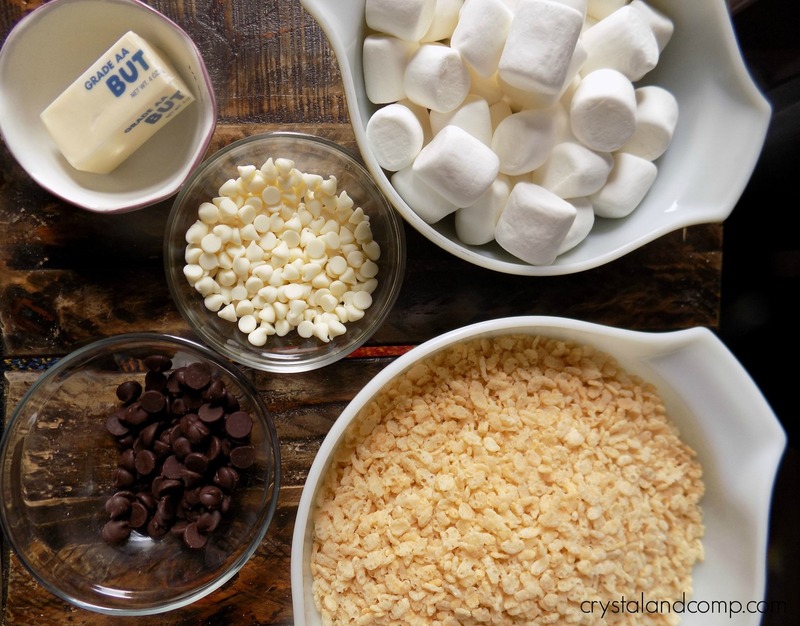 Melt your dark chocolate chips and white chocolate chips in the microwave. It took only about a minute for each bowl. Then add the melted chocolates to 2 separate baggies. 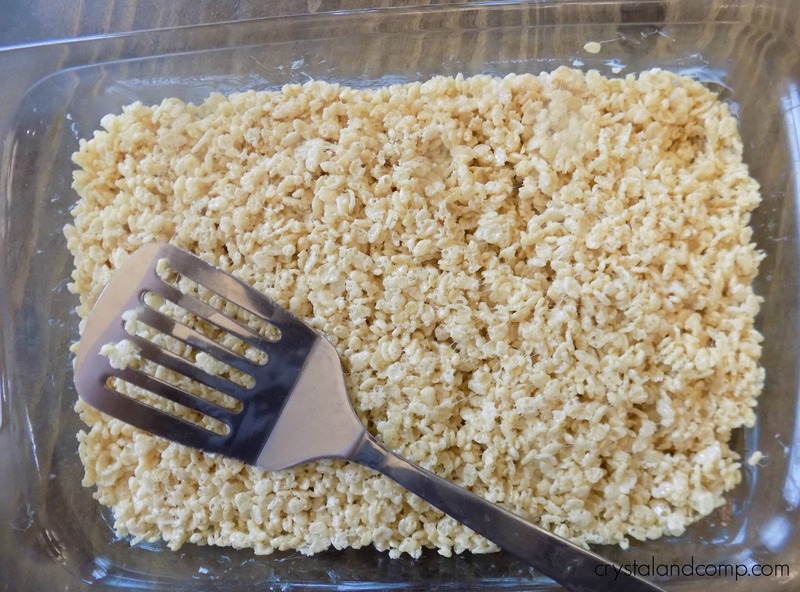 Snip the corner of the baggie and begin squeezing a tiny zip zag pattern across the rice krispies. This is so super easy. 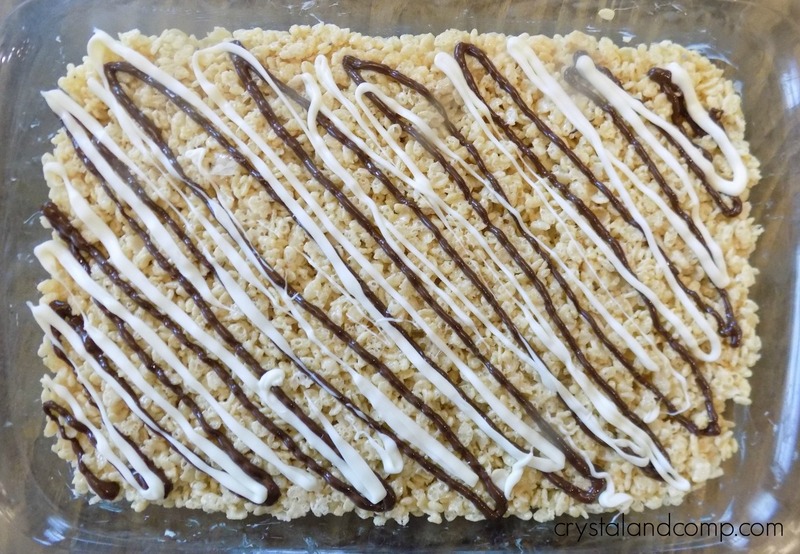 we used the dark chocolate and then the white chocolate to make our zebra stripes! My family absolutely loved these and they went so great with our letter /z/ learning! Make sure you also check out our letter of the week crafts, book lists, hand print art, free printables and more!